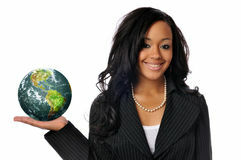 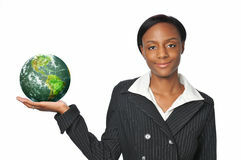 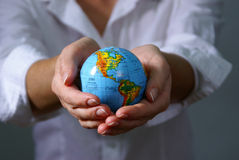 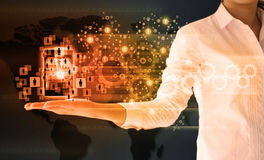 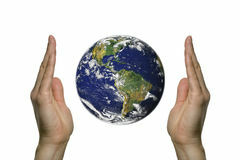 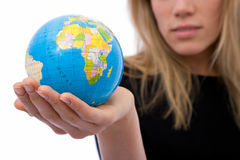 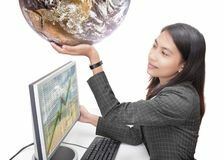 Businesswoman holding Earth globe in a hand, isolated on white. 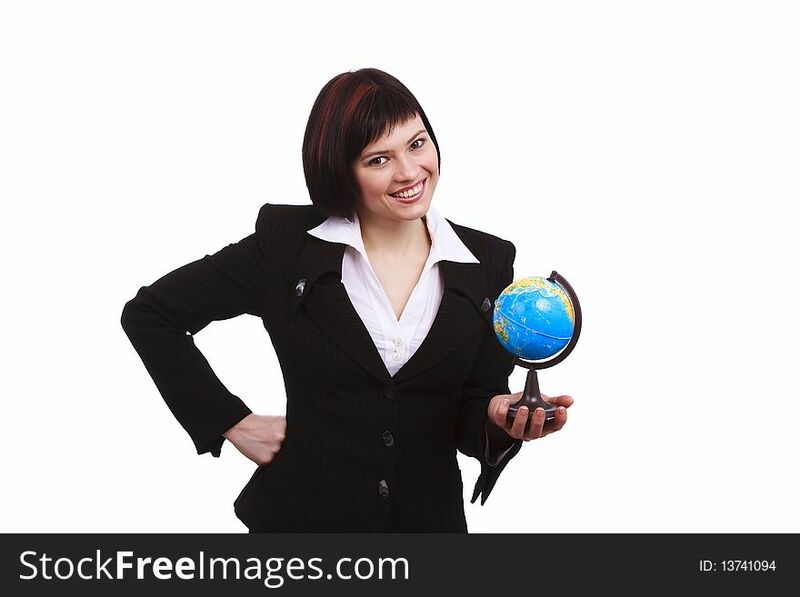 Attractive business woman holding a miniature globe. 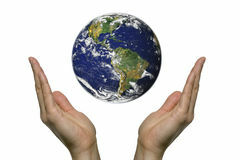 I'll give you the World.